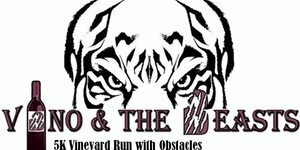 Vino and The Beasts is the best 5K obstacle run through the vineyards. Enjoy the heartbeat of the Finger Lakes, the wineries, while running on our challenging course, conquering our great obstacles, and taking in the beautiful scenery! The post race celebration will have live music, FREE WINE TASTINGS, food to purchase, and fun! Awards will be given to the top performing athletes and participants with the best costumes. Bring your running shoes that can get muddy, your craziest costume, and beastly attitude!